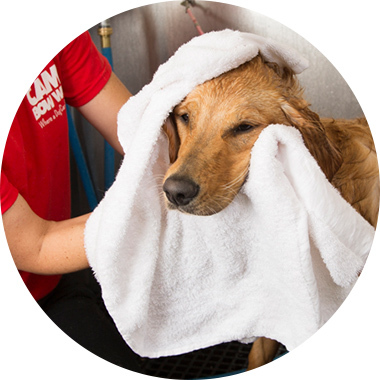 Contact us at (816) 246-7833 to learn more about our dog grooming services. 35 lbs and under. Shampoo, Condition, Blow Dry, Brush Out and Nail Trim. Over 35 lbs. Shampoo, Condition, Blow Dry, Brush Out and Nail Trim.